Pescatarianism has become a popular diet choice in our society. Individuals who choose this type of diet, abstain from eating all meat, while still maintaining a vegetarian diet with the addition of fish and other seafood. More people and celebrities are adopting a pescatarian diet, not only for its health benefits but also for being kinder to the environment. Factors such as weight loss and longevity, a reduced environmental footprint and animal cruelty concerns motivate many to become pescatarians. Fish is an excellent source of B-complex vitamins, vitamin A and vitamin D, known to be beneficial for the maintenance of the nervous system, healthy vision and a component of bone development. 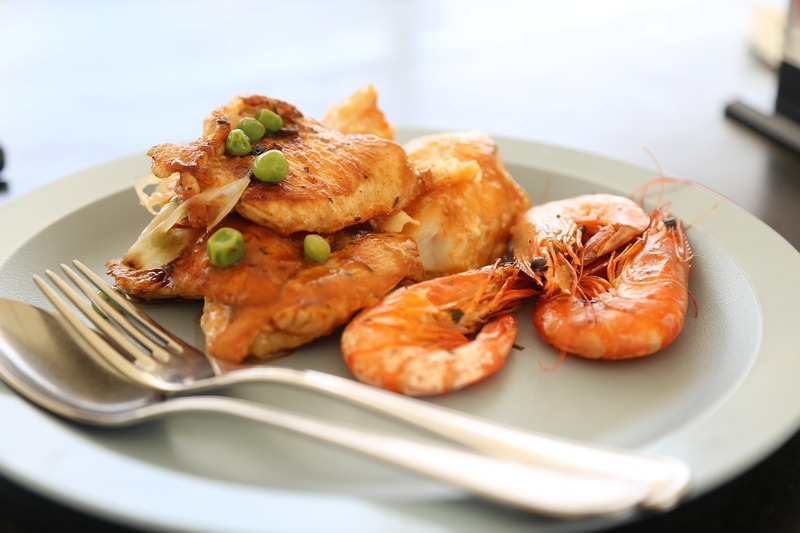 Fish is also a good source of essential minerals, including zinc, iodine, selenium and iron. Zinc contributes to cell growth and the health of the immune system. Iodine supports effective thyroid function whilst selenium is a powerful antioxidant. It‘s no wonder that some of these well-known personalities have adopted a pescatarian diet, and each for their own reasons. The “Being Mary Jane” actress says that she is a big fan of the pescatarian diet and that it has set her up to go vegan. She claims that if the vegan diet doesn’t work out, she’ll stick with being a pescetarian for the long-haul. The American football quarterback for the Carolina Panthers of the National Football League told ESPN that he had hopped on the diet to test his discipline. In an interview with the St. Petersburg Times, back in 2000, American singer-songwriter revealed that she swapped a strict vegan diet for the pescatarian diet after finding that veganism wasn’t realistic for her lifestyle. Trying to find something to eat while on the road performing became too complicated. In a 2014 interview, the actress revealed that she’d given up her past dedication to veganism to go pescetarian, and it changed the way she looks at dieting. American hip-hop recording artist Common, revealed that he’s going strong with the pescatarian diet since foregoing meats in the 90’s. “I just decided to be more aware of my health and well-being. I felt that beef and pork wasn’t good,” the rapper said in a chat with JustJared in 2009. The designer follows the Five Hands Diet – or five handfuls of food daily, without sugar or salt. Minute portions of smoked salmon, prawns with chilli, tuna sushi, scrambled eggs and green veg.